More than 20 years ago, Jay Rhine and his landscaping company were working as subcontractors to other pool builders. 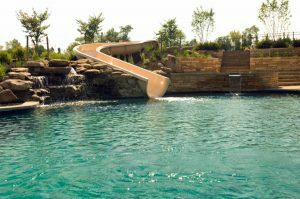 Jay and his crew noticed that clients were often frustrated by having to make multiple phone calls to subcontractors hired by the pool builders. Sometimes, weeks would go by before they received a response. In addition, hidden costs kept popping up and adding to an already hefty bill. Customer service was another crucial element missing from the interactions clients were having with their pool companies. Drawing on his own experience and knowledge of how to treat a customer the right way, Jay Rhine founded Rhine Pools. 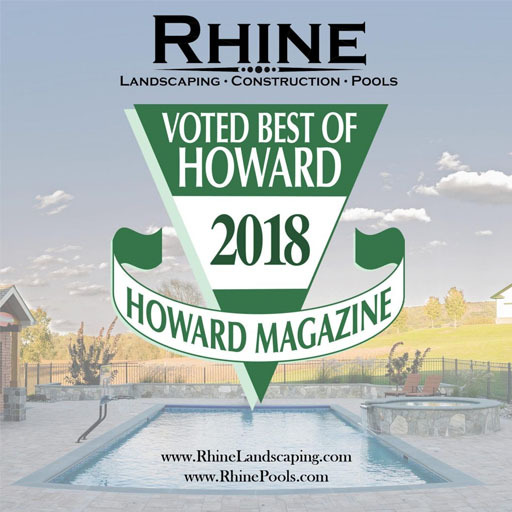 In addition to making sure every customer was treated with respect, Jay realized that a pool is more than just a place to cool off; it’s the centerpiece of an outdoor living experience that can bring years of pleasure to homeowners, their families, and friends. Landscaping and hardscaping elements enhance a pool, and Jay and his crew possessed these talents. 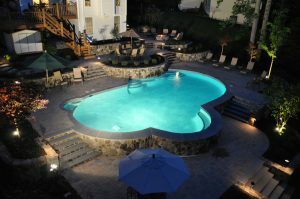 One of the secrets to the success of Rhine Pools is that we are all inclusive; a single source provider. Clients deal with one project manager, and receive answers and feedback from this person. There aren’t dozens of people and faces to remember. Our success has resulted from the fact that we employ experienced landscape architects to create custom designs for each client. The cost for the designs is a separate line item, and they are yours to keep. Professionals who are dedicated to their craft should handle swimming pool design, not salesmen. That’s what every Rhine Pool client has discovered. Please visit our Testimonials page for words from our many clients! For more information, or to schedule a visit with one of our accomplished sales representatives, contact us today at 410 442 2445.